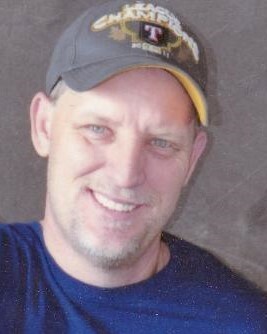 Dennis Lloyd Weaver, 50 of Grand Prairie, Texas passed peacefully at his home on February 10, 2019. He was born on April 16, 1968 in Dallas, Texas to the home of Vernon James & Linda Darlene Speake Weaver. Dennis graduated from South Grand Prairie High School in Grand Prairie, Texas in 1987. After school he joined the United States Army and proudly served for 4 years. Once he left the service he worked for Bell Helicopter in Hurst, Texas and PXS Aeronautical in Mansfield, Texas as an air craft machinist for 25 years. In Dennis’s spare time he enjoyed singing karaoke, fishing, finding treasures at flea markets and garage sales, playing with his beloved dogs, watching the Dallas Cowboys, and dining with his family and friends. He cherished spending time with his family and friends. Dennis is survived by his loving wife of 17 years Jane Michelle Hyde Weaver; three sons Justin James, Patrick Jackson, and Derrick Michael, all of Grand Prairie, Texas, his father Vernon James Weaver of Trinidad, Texas; grandson William James Weaver of Mansfield, Texas; his five nieces, Ashlee, Brandy, Brittney, Tiffney, and Teresa; two great nieces, Addison and Claire; one great nephew, Isaac James; his cousins, Kris and Kevin, as well as a host of other family and friends, all of which will dearly miss him. Dennis is preceded in death by his mother Linda Darlene Weaver; brother Randall James Weaver and an aunt Rebecca Nadine Wood. Bro. Jeff Reynolds with Christian Life Center in Gun Barrel City, Texas and Kris Wood will officiate for the Weaver family.